As an yone who has been involved in advertising will probably know, the question ‘How Does Advertising Work?’ has never had an easy or even an adequate answer. Yet it’s a question with some very practical consequences, and possibly some ethical ones too. Does it matter if advertising is remembered, or whether it is liked? Does a successful ad transmit a message, a proposition, or a benefit? Does it work subconsciously, through imagery or symbolism, or through the emotions? Or is it, after all, just a simple matter of fame, ‘keeping your name before the public’ as one early practitioner claimed? The ways we deal with advertising, whether as practitioners or as a society, can’t help assuming certain answers to such questions. And yet, despite a huge and frequently confusing body of research on the subject, the questions remain problematic. 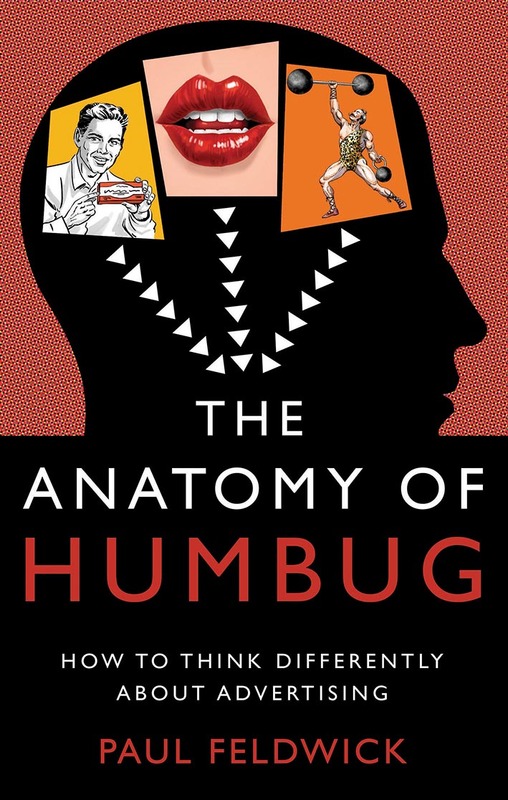 In my forthcoming book, The Anatomy of Humbug, I’ve approached the topic in a different way. I’ve not attempted to answer the question ‘How Does Advertising Work?’, but instead I’ve reviewed the principal ways that advertising practitioners have found their own answers to it over the past century or more. What became clearer to me in the process of writing – and I hope may also become clearer to the reader – is that none of the competing theories is absolutely wrong. Yet any one of them, on its own, is far from being sufficiently right. Each theory, considered as a metaphor, image or ‘way of seeing’ could be useful – just as each, taken too dogmatically as ‘truth’, could become a limitation. In trying to make this overall approach clear, I found myself quoting a poem I have known since I was very young, when I read it in the much-loved and dog-eared pre-1914 Children’s Encyclopedia that I grew up with. ‘The Blind Men and the Elephant: A Hindoo Fable’ was written in the mid nineteenth century by the American John G. Saxe. 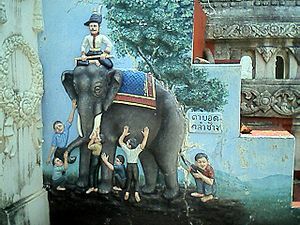 Each verse that follows tells how one of the blind men encounters a different part of the elephant, and describes it in a way that has no conceivable connection with each of the others: for example one walks into its side and declares the elephant ‘very like a wall’, one finds the trunk and announces it is ‘very like a snake’, one takes the tusk and concludes that the elephant is very like a spear, and so on: the leg is like a tree, the tail like a rope, the ear like a fan. I was aware that this approach to reviewing apparently competing theories was not an original invention and, as I acknowledge in the text, it owes a lot to a wonderful book called Images of Organization by Gareth Morgan. This considers several different ways of thinking about organizations – as machines, as organisms, as cultures, as political systems, etc – arguing that all of these are valid and potentially useful. ‘There are no right or wrong theories in management in an absolute sense, for every theory illuminates and hides. The book offers a means of coping with this paradox. It offers a way of thinking that is crucial for understanding, managing and designing organizations in a changing world.’ (Morgan 2006, p.8). Substitute ‘advertising’ for ‘management’ and ‘organizations’, and this couldn’t express better my aspirations for my own book. Visiting relations over Christmas, I came across a book called Myths, Stories, and Organizations (Gabriel 2004); browsing through it, my eye was caught by a chapter called ‘The Blind People and the Elephant’ by Peter Case, who is Professor of Leadership and Organization Studies at Exeter. Being an academic paper, it has an irritating obsession with ‘inclusive language’ so that the author can’t quote the phrase ‘blind men’ without inserting the word ‘sic’ after it. Nevertheless, ‘The Blind People (sic) and the Elephant’ proved very interesting to me on two counts. Firstly, because the author extensively quotes Gareth Morgan’s version of the story from Images of Organization. I thought I must have forgotten about this. However, when I tried to find the reference in my copy of Morgan’s book, I was unable to. It turns out Case was quoting from the first edition (1986), while I’d only ever seen the second edition (2006), and it seems that somewhere between the two Morgan decided to remove a whole section entitled ‘On elephants and organizations’. Why he did this I can’t guess; but I was interested to discover we’d independently, at some point, made the same connection. The other interesting thing was that Case, who appears to be unaware of Saxe’s poem, explores in detail the ancient origins of this ‘Hindoo Fable’. I had been mildly concerned about the political correctness of the story as recounted by Saxe – not only were the seekers after knowledge exclusively male as well as racially stereotyped, but it could be construed as making fun of the visually impaired (and possibly elephants too). I had vaguely supposed that Saxe’s poem was a typical bit of nineteenth century orientalism, an invented story placed in a suitably exotic context – and I vividly remember how it was illustrated, in The Children’s Encyclopedia, with s ome entertaining drawings of little fat men in baggy trousers and turbans. But it turns out that the tale has a long history in many eastern traditions, including Jain, Sufi and Hindu as well as Buddhist, and is still recounted today throughout many countries. It seems to be a perennially powerful and potent story with many applications, and it’s not just about the limits of our human knowledge, but more practically about the choices we can make in this situation where, in one way or another, we are all blind. Case, P. (2004). The Blind People and the Elephant. in Gabriel, Y. ed. (2004). Myths, Stories, and Organizations: Premodern Narratives for Our Times. Oxford: OUP. pp. 49-65. An hypothesis cannot be proved. You can show that water boils at 100 c by repeatedly conducting the experiment. It is just an hypothesis that has yet to be disproved. At some point some bright spark climbs a mountain and boils the water to find that it boils at a different temperature. The result is a new hypothesis waiting to be disproved.